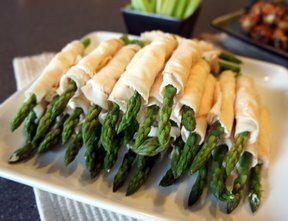 This Creamy Asparagus Rollup recipe is a simple and elegant appetizer perfect for your next party. Make it ahead and set it on the table without a fuss. This recipe is made with fresh asparagus just slightly cooked so it still has that crisp-tender spring-like flair. Your guests will definitely be impressed! Use these step-by-step instructions on how to serve fresh pineapple in a pineapple boat for a Spring inspired addition to your table. There is nothing better than fresh strawberry sauce to add to your Spring desserts. See how easy it is to prepare.